Day of the Dead is celebrated passionately throughout Mexico, and especially so in smaller provincial towns and cities. November 2nd is an official Public Holiday in Mexico. Far from being a morbid event, Day of Dead emphasizes remembrance of past lives and celebration of the continuity of life. This acknowledgement of life’s continuity has roots which go back to some of Mexico’s oldest civilizations including the Olmec, Zapotec, Maya, and Purépecha. The Aztecs also celebrated Day of the Dead, although earlier (August) on the current calendar. Local festivities and traditions vary from place to place, although the ofrendas (see below) are the focal point of the celebrations and can be spotted everywhere during the festive period. Some towns and cities hold religious processions, and some of the participants may use face paint and costumes to emulate Catrinas (see below). Although Halloween (October 31) and Dia de los Muertos (Nov 1 & 2) are, strictly speaking, two distinct events, in recent times the two festive dates have blended into each other illustrating how Mexico is very adept at assimilating foreign things without losing its own identity and often putting a particularly Mexican stamp on them. Local families will plan for Day of the Dead celebrations days, weeks, or perhaps even a whole year in advance. A focal point of the remembrance ritual is families creating ofrendas—altars with offerings to the deceased—which are set-up in homes or public spaces like parks or plazas, and also at local cemeteries where family members are buried. These colorful altars, which are also an art form and personal expression of love towards one’s family members now passed, are not for worshiping but instead for the purpose of remembrance and celebration of a life lived. They are usually layered: the uppermost layer contains a picture or pictures of the remembered deceased as well as religious statues or symbols, especially that of La Virgen Guadalupe; the second layer will contain the ofrendas: toys are usually offered for deceased children, and bottles of tequila, mezcal, or atole for deceased adults. Personal ornaments, and/or the deceased’s favorite food or confection will also be present here, as will Pan de Muerto (see below). The third, or lowest, tier will feature lit candles, and some might also have a washbasin and a towel so that the spirits of the deceased may refresh themselves upon arrival at the altar. Every altar will feature calaveras – decorated candied skulls made from sugar – as well as the bright orange marigolds or cempazuchitl – sometimes called flor de muerto (“Flower of the Dead”) – one of the iconic symbols seen during Day of the Dead celebrations throughout Mexico. During the celebratory period, it’s traditional for families to visit the cemeteries where their loved ones are buried, to clean and to decorate the graves with the similar offerings to those included in the home’s altar. The character on which La Calavera Catrina — “The elegant skull” — is based was conceived by Mexican engraver José Guadalupe Posada. The original Catrina was titled La Calavera Garbancera: in the form of an artistic etching in zinc, composed for use as political satire around 1910, intended to poke fun at a certain social class of Mexicans who the artist portrayed as having European-aristocratic aspirations—thus the Catrina’s archetypal grandiose plumed hat of a style which passed through a period of high fashion in Europe during that age. This related article explains the history and culture of Catrinas in Mexico. One of the culinary highlights of the season is Pan de Muerto — Bread of the Dead — which is a semi-sweet sugar-dusted bread made from eggs and infused with natural citrus fruit flavors. It’s traditionally taken with hot chocolate that has been mixed with cinnamon and whisked, and makes for a flavorful and warming blend on a chilly November evening. Learn how to best enjoy Pan de Muerto in Mexico. Day of the Dead is a holiday that attracts a certain fascination for visitors from abroad, and enjoyed by foreign residents who witness the unfolding of local festivities in their adopted towns and villages each year. Celebrations in the colonial city of Oaxaca and the ancient highland town of Pátzcuaro are particularly well attended by foreign visitors, and an early booking for local accommodations is vital if you want to experience Day of the Dead at either of these places. 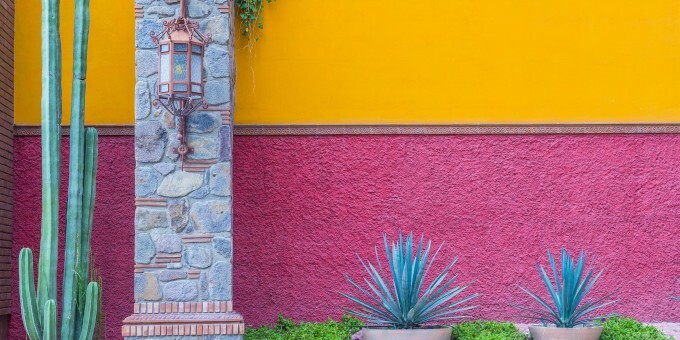 Even if you can’t get to Oaxaca or Pátzcuaro, you’ll discover that towns and villages across Mexico compose their own interpretations of the event to celebrate Day of the Dead, and so wherever you are in Mexico this time of year, you’ll have an opportunity to experience this distinctive celebration—one of the most colorful, poignant and atmospheric Mexico offers. The precise ceremonies, offerings, and customs for Day of the Dead celebrations vary by region and town, but the essential traditions described here are an integral part of the event which is echoed all over Mexico. A visit to a local cemetery, where family graves are dressed with color and decorations, a local park or plaza where ofrendas have been gathered, or a glimpse into one or more of the local homes which are opened-up to visitors during this period and where the lives of those past are lovingly remembered by those present, is a rewarding and worthwhile cultural experience to behold. As an American, I attended a local cemetery with a local friend for the first time in 2011, really had no idea what to expect. Wow, what an experience, it was festive, touching to see all of the people remembering their loved one who had passed with food and drink. Not at all solemn, but a true celebration of the lives that had been lived, and have now passed, by their loved ones still here. I have been back a couple times more and try to time my visits around Nov. 1 and 2nd. I did this in Huatulco, Oaxaca, a truly unique and wonderful experience. I think dedicating a joyous celebration to deceased loved ones is lovely tradition; it seems so life-affirming! When I was in Oaxaca a decade ago, Day of the Dead was not celebrated that much. Our hotel had a tour that night, but the cemeteries were not only empty, but locked. There were no public celebrations anywhere besides a few hotels trying to commercialize the event. 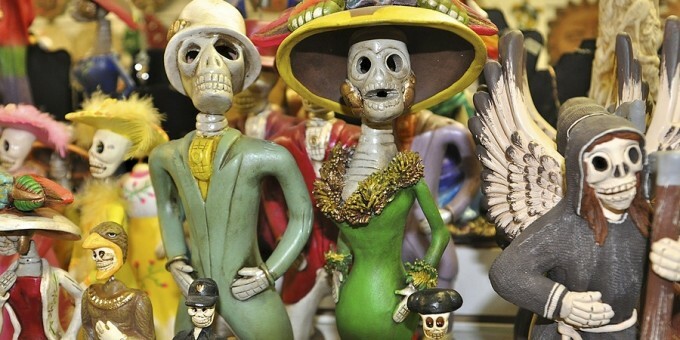 Since then, Oaxaca is trying to gain importance for Dia de Muertos, but it is no where near the history and tradition of the Lake Patzcuaro region of Michoacan. Plus, Lake Patzcuaro is one of the few places celebrating Noche de Muertos, Night of the Dead, happening right now. If you want history and tradition, come to Lake Patzcuaro. Here in Austin, TX, our Mexic-Arte Museum has sponsored Viva la Vida festival and parade, the city’s longest running (34th year) and largest Day of the Dead event. Last year there were over 10,000 attendees. This year held on 28 October. In fact, our mayor has proclaimed Austin Dia de los Muertos from this Saturday, 28 October, through 4 November, trying to make this a Latino-themed citywide celebration. What a unique and beautiful celebration this is… and I think worth considering in our own families, no matter where we are. In our state of Arizona, we find Day of the Dead celebrations everywhere, from the parade through the Desert Botanical Gardens in Phoenix, to the displays at Mesa Arts Center, to the great celebrations and parade in Tucson ~ an event that’s growing in popularity every year. In fact, we’ll learn about Day of the Dead in the classroom just next week! We’ve not yet seen this celebration up close in Mexico, but hope to eventually. Every year, at CU-Ciudad Universitaria-, main campus of the UNAM, there’s an exposition of ofrendas made for Día de Muertos. They are shown for about a week on the main gardens of the campus. These gardens are called “islas” (islands) and everybody knows where they are so you will get good directions about getting there. It is a public, free and fun event. You can go see them by day or also at night, which makes it much more fun. Although I recommend getting there while there’s still more light so you can admire all of the details in the ofrendas and, then, staying there until it gets dark. There are stands with food and beverages and, of course, they sell pan de muerto and hot chocolate. It’s safe, though keep in mind that there will be lots and lots of people. And it is chilly, so bring a jacket with you. The experience is amazing, so I recommend it to everybody. Hope you enjoy it!